These price are based on minimum 04 Pax travelling together. These price are based on minimum 04 Pax travelling together.Any airfare / train tickets. Personal expenses such as tips, porterage , telephone calls, etc. 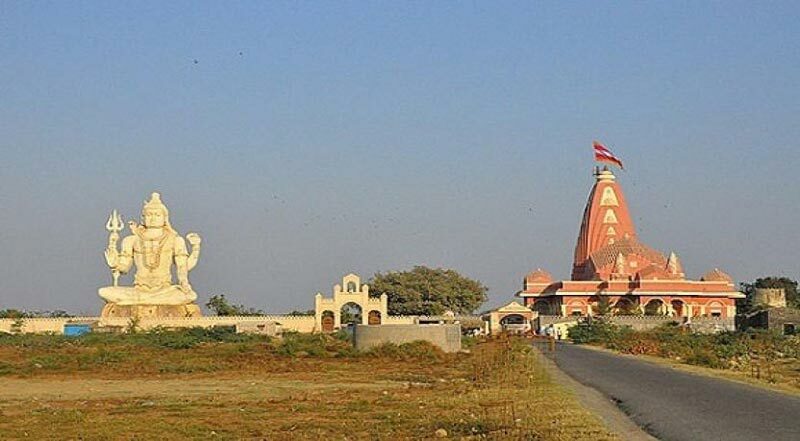 Arrives at Ahmedabad, meet to greet and drive to Dwarka, en-route visit Jamnagar Bala Hanuman Temple - Bala Hanuman Temple is a pilgrim place venerated by the devotees of Lord Ram. 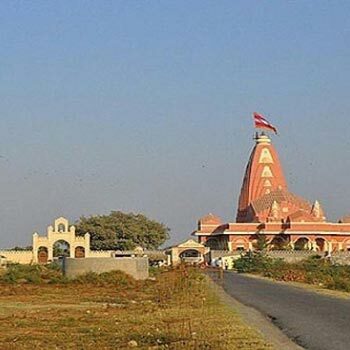 It is a world famous temple, known for the continuous chanting of Jai Ram, Shri Ram. The chanting is going on since 1964 and has found a place for it in the Guinness Book of World Records. People chant the name of the Lord in shifts, 24 hours a day. 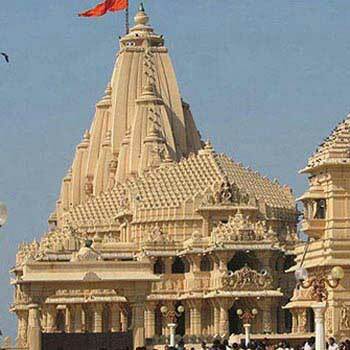 Later Proceed to Dwarka, visit Lords Dwarkadhish Temple. Attend evening Aarti Darshan at Dwarkadhish Temple of Lord Krishna. O/n stay at Dwarka. Attend early morning Aarti at Dwarkadhish temple, have breakfast & thereafter visit Bet Dwarka, Nageshwar Jyotirling & Rukmani Temple. 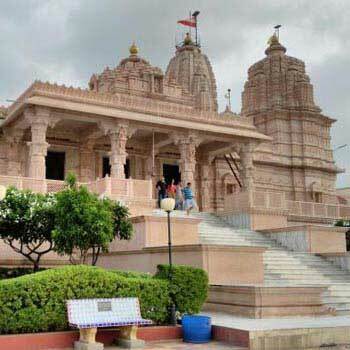 Bet Dwarka Also known as Bet Shankhoddar, Bet Dwarka is only 5 kms from Okha Junction in sea and Okha is 30 kms from Dwarka. 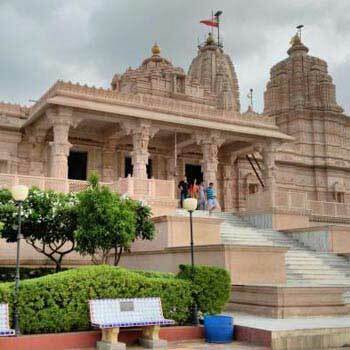 It is said to be the place where Lord Krishna lived with his family when the ruled at Dwarka. It is also the place where Vishnu slew the demon Shankhasura. 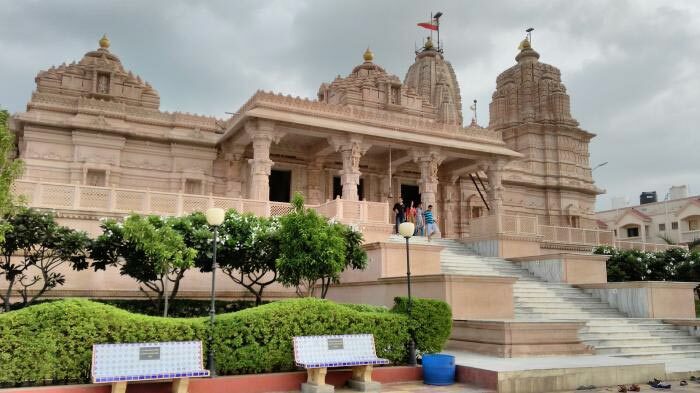 Visitors make it a point to visit the Krishna temple at this site which holds much of interest to be seen and experienced. Nageswar Mahadev The Puranas mention 12 Jyotirlingas or columns of light representing Lord Shiva, who manifested himself in that form in different parts of India. This shiva shrine nearDwarka is one of these and is there- fore accorded great respect. Rukmani Temple of Lord Krihsnas wife. Continue proceed to Porabandar, Visit Kirti temple, Sudam known as house & born place of Mahatma Gandhi. In back side house of Kasturba wife of Gandhi. Also visit of Gandhi museum, study room of Mahatma Gandhi in the Kirti temple. Later visit of Sudama temple at Porbandar. 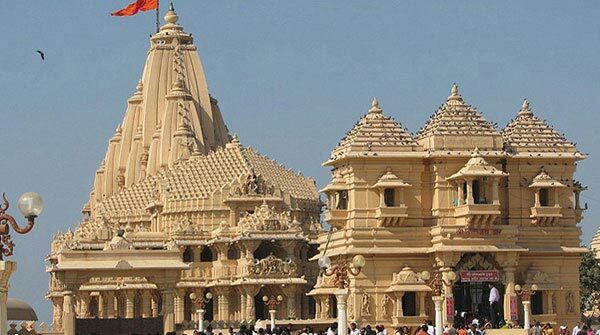 Continue proceed to Somnath, evening Aarti Darshan at Somnath Temple - A lord Shiva temple known as Jyotirling built by Moon God. 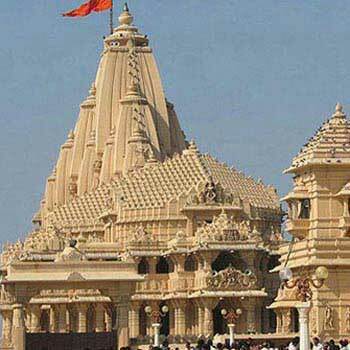 Enjoy lighting and sounding Show Overnight stay at Somnath. Morning after breakfast visit Bhalika Tirth & Triveni Ghat. Later drive to Ahmedabad, en-route visit Junagadh UPERKOT FORT is an ancient fort built by Chandr Gupta. 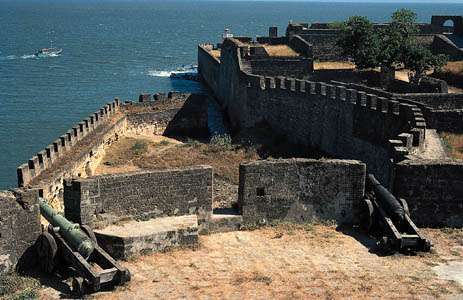 The fort as been rebuilt & extended many times. Later visit of Ashokan Edicts, Mahabat Maqbara. The Ashokas Rock edict is on the way of Girnar hill temple. The rock engraved with the Buddhist edicts of Ashoka. The edicts impart moral instruction on dharma, harmony, tolerance and peace. Virpur Jalarambapa Temple - village had become holy after the birth of Shri Jalaram Bapa. It had become famous now all over the world due to events that had taken place in the life of Shri Jalaram Bapa. More over the people from all over the world come here to see the native place of Shri Jalaram Bapa and to see the "JHOLI" and "DANDA" given by god to Virbai Maa and the Original Hanumanji's Idol. The people in the village are still feeling Bapa near them and if you try to feel them with pure heart then you will also feel that Bapa is with you, he kindly gives his blessings and fulfill their wishes. These experiences are known as "Parchas". Gondal - Naulakha palace, it is a festival of stone carvings with balconies. It gift for Maharaja Bhagwat Sinh ji on his silver jubilee as ruler of Gondal. Visit of vintage car collection, have a collection of several vintage and classical cars including a 1910 new engine with so many imposing American cars of the 1940s. Continue drive to Ahmedabad & transfer to hotel. O/n stay at Ahmedabad. After breakfast, you shall be transferred to Ahmedabad Airport or Railway Station by private vehicle. Trips end here with a bag full of memories to look back upon with relish and nostalgia! 01 Night accommodation in Dwarka. 01 Night accommodation in Somnath. 01 Night accommodation in Ahmedabad. Above rates are Net and Non Commissionable. Meal plan: EP - Accommodation only, CP - Accommodation with breakfast, MAP - Accommodation with breakfast, lunch or dinner, AP - Accommodation with breakfast, lunch & dinner. In case of any Visa denial or any delay in Visa process we shall not be resonsible for any loss due to the same and no refund will be applicable. Visa approval and process duration is as per consulate / embassy descretion. We cannot guarantee if visa shall be granted and duration to process the same. Package rates are subject to change without prior notice, Force Majeure events, strikes, fairs, festivals, weather conditions, traffic problems, overbooking of hotels / flights, cancellation / re-routing of flights, closure of / entry restrictions at a place of visit, etc. While we will do our best to make suitable alternate arrangements, we would not be held liable for any refunds/compensation claims arising out of this. Any refund payable to the Guest (if any applicable as per cancellation policy) will be paid after the Company receives refund from the respective authorities. The Company deducts processing charges from the refund to be paid to the Guest. From 1 June 2016 onwards if any invoice amount is above 2 lacs and mode of payment full or partial is in cash (cash paid at counter or deposited in bank) 1% TCS will be applicabke and to be deposited extra on total amount and PAN card copy has to be shared. Also do read booking procedure which is given in every package details. Cancel bookings even after the acceptance of the payment without assigning any reason. In this case the company shall refund the money to the guest. Withdraw discounts at any point of time.